I was a teenager when I self-confessed that I will never ever be into cooking. I didn't even know where my Mom kept the frying pan, hey, I barely even go to the kitchen unless I need a glass of water. Fast forward to the present, here I am, a thousand pounds plus heavier and a mainstay in our kitchen! If anyone had told me that I'll be a Mom and a cooking one at that, I would've rolled over the floor laughing my double chin off. Lol! I guess that's how it is when people say that once you get the hack of cooking, you will be addicted - and I've been cooking and experimenting in the kitchen ever since. 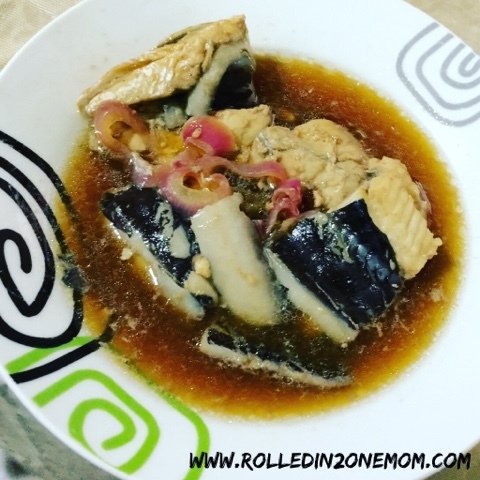 Bangus has always been a staple "ulam" (viand) in our home. Not only is it easy to cook but it's so tasty, you can also cook it in different ways. 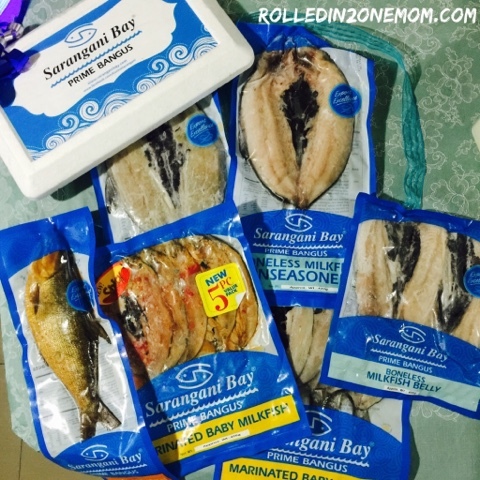 Sarangani province has always been known for not only Manny Pacquiao but also for being rich in seafood products. 1. Freshness guaranteed - all their products are sealed fresh and all you need is to freeze it properly to ensure it maintains it freshness. Of course, expiration dates are visible so you would know when it's best to cook it. 2. 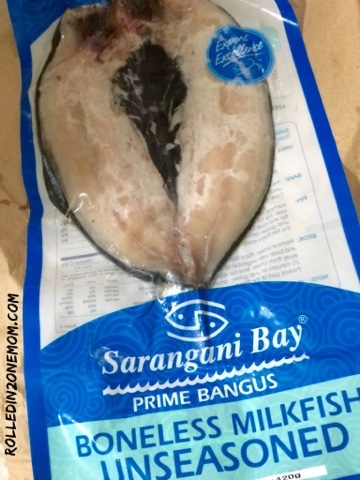 Distinct Taste - all Sarangani Bay Prime Bangus products carry a taste unique to the brand. The spicy ones aren't really that spicy but still has a soft kick to the tongue. 3. "Siksik" - the meat remains intact even after being fried under high heat. 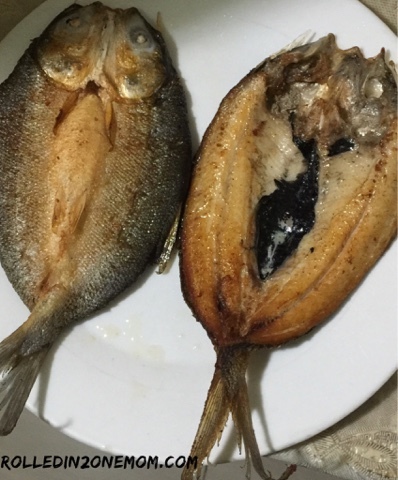 This ensures that your bangus remains whole when you serve it. 4. Easy to pair with any seasoning - I love how it can easily be paired with any type of sauce which makes it easy to cook. 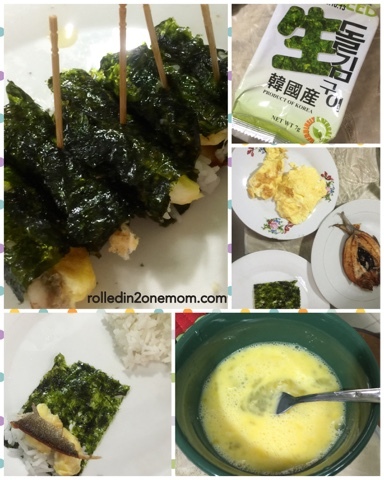 Fry the egg, wrap the hot rice in Nori and keep it together with a toothpick and voila! 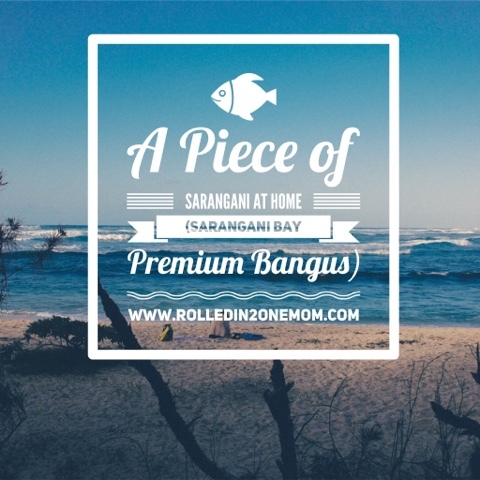 - Sarangani Bay Prime Bangus Maki. 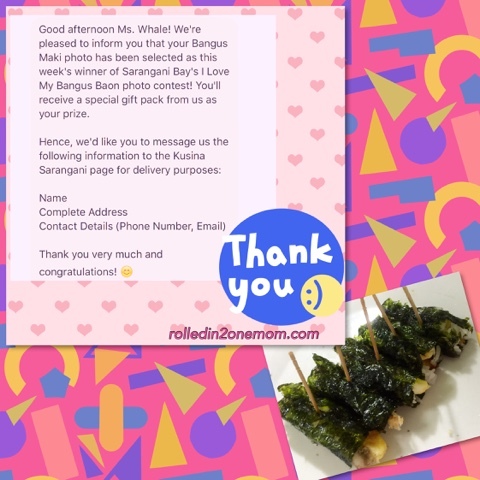 Let me just brag, this recipe won in the "Baon of the day" Contest of Kusina Sarangani. woot! 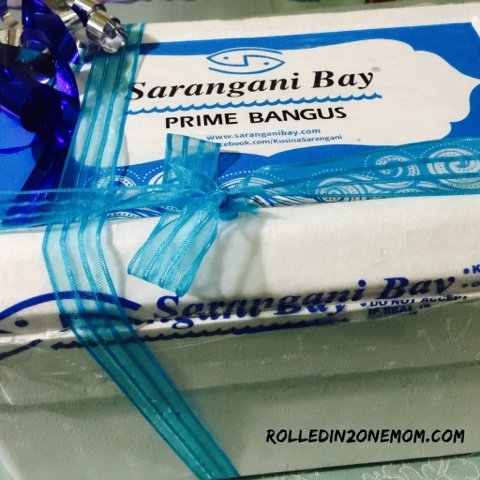 I would recommend Sarangani Bay Prime Bangus Products to you fella Mommas and my dear readers! 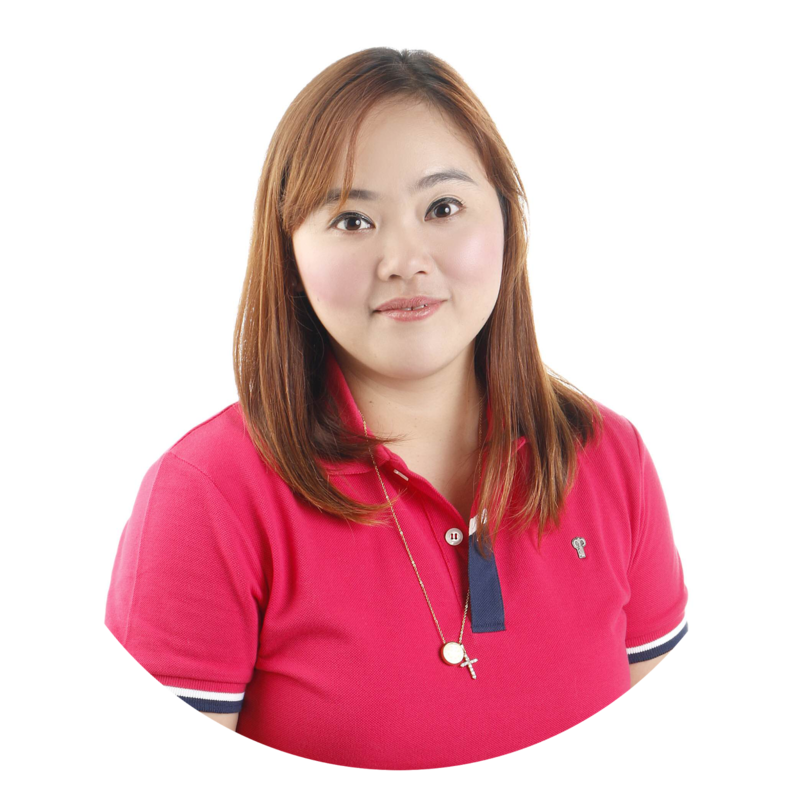 All of their products are easily available at any leading grocery stores - nationwide.